GunRifleSpottingScopes.com has launched its online store in time for the 2018 holiday season. The eStore offers a wide range of spotting scopes and more at attractive prices to holiday consumers. GunRifleSpottingScopes.com is a newly launched eStore furnishing a large selection of high-quality name brand spotting scopes, binoculars and more for the outdoors. The online store allows holiday shoppers to find and compare various scope brands, item features, product reviews and pricing as well as different shipping options, while offering returns, replacements and exchanges at the highest customer service level. The eStore plans to continuously add new products well into the new year. “If consumers haven’t decided yet on what kind of scope to get for themselves or someone else, the good news is that it isn’t too late to find some really great ones at competitive prices with affordable shipping fees and quality customer service” said one spokesperson. 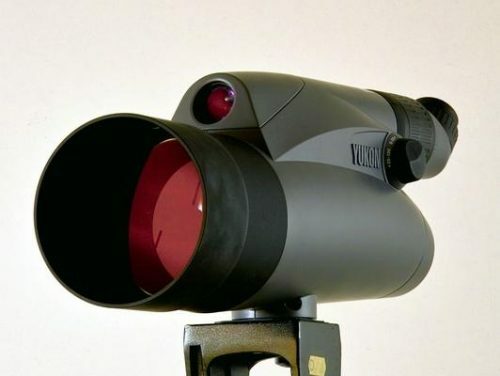 To serve every need whether it’s for hunting, bird watching or sky viewing, GunRifleSpottingScopes.com carries many of the big brand names such as Bushnell, Celestron, Barska, Eyeskey, Firefield and Vortex Optics in every price range to fit anyone’s budget. The online store has something for just about everyone including hobbyists, hunters and all outdoorsmen alike. To compete with other online retailers, GunRifleSpottingScopes.com offers more than just spotting scopes. The eStore also features the most popular gun and rifle scopes, night vision monoculars and binoculars, rangefinders, reflector and refracting telescopes plus a whole lot more.